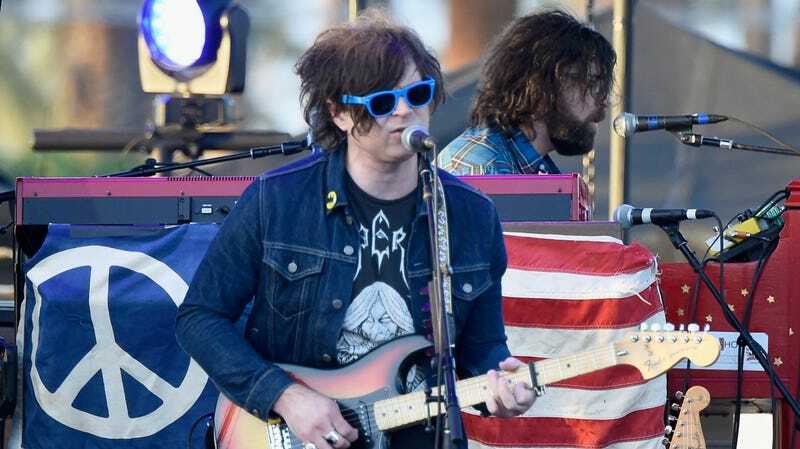 Seven women have detailed a pattern of abusive psychological and emotional manipulation on the part of singer-songwriter Ryan Adams, who is the subject of a searing new report from The New York Times. Songwriter Phoebe Bridgers, Adams’ ex-fiancée Megan Butterworth, and This Is Us star Mandy Moore, who was married to Adams from 2009 to 2016, are among those interviewed. The Times also cites corroboration from numerous family members and friends, as well as by correspondence from Adams reviewed by reporters. According to several sources, the 44-year-old promised career opportunities to young female songwriters as he simultaneously pursued sexual relationships with them. His behavior would routinely become obsessive and controlling, often giving way to emotional and verbal abuse, as well as physical intimidation and digital harassment. Sometimes, as in the case of Bridgers and songwriter Courtney Jaye, a rejection of Adams’ romantic advances could result in the singer rescinding promised opportunities. Moore and Butterworth, meanwhile, say Adams isolated them in ways both social and professional, dictating with whom they could engage or collaborate. I am not a perfect man and I have made many mistakes. To anyone I have ever hurt, however unintentionally, I apologize deeply and unreservedly. But the picture that this article paints is upsettingly inaccurate. Some of its details are misrepresented; some are exaggerated; some are outright false. I would never have inappropriate interactions with someone I thought was underage. Period. As someone who has always tried to spread joy through my music and my life, hearing that some people believe I caused them pain saddens me greatly. I am resolved to work to be the best man I can be. And I wish everyone compassion, understanding and healing. Adams is slated to release three albums this year, beginning with Big Colors on April 19.